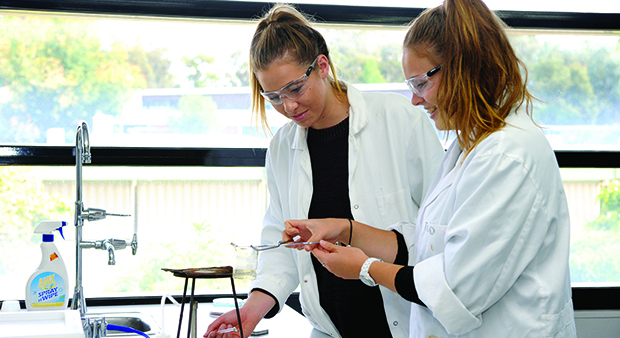 Bendigo Senior Secondary College (BSSC) is a Year 11 and 12 school located in one of Victoria’s strongest and fastest growing regional areas. Founded in 1907, Bendigo Senior Secondary College is situated in central Bendigo overlooking the historic Rosalind Park. With over 1700 students, it is the largest provider of the Victorian Certificate of Education (VCE), Victorian Certificate of Applied Learning (VCAL) and Vocational Education and Training in Schools (VETiS) in the state. The college offers a rich learning environment specifically tailored to meet the needs of young adults and help them achieve their potential. BSSC provides an adult environment where sound work ethics, self-discipline and independent learning skills are fostered. A range of online courses and self-directed learning options are available to students who would prefer to learn at their own pace. Our students are recognised state-wide for their outstanding results including VCE Premiers Awards and the VCE Season of Excellence Awards. In 2001 BSSC was the first government school in the world to be accredited with the Council of International Schools. In 2011 we again benchmarked ourselves against the highest international standards. Our involvement in the accreditation process shows that we welcome external, international scrutiny to ensure that we continue to be a world class education provider striving for continuous improvement to benefit all students. NETschool is an extension to the college program, providing curriculum access for 15 to 18 year old students who have been outside mainstream schooling or training. NETschool provides both online and face to face delivery of VCE, VCAL and VET units from its central city location. BSSC also runs a significant online program under which we deliver VCE subjects to students in other schools around Victoria. In 2013 28 other schools have benefitted from this program and this number is expected to expand significantly in coming years. Our ROLE at BSSC is to empower learners for individual, community and global leadership. Our values are: Respect, Optimism, Learning, Environment.